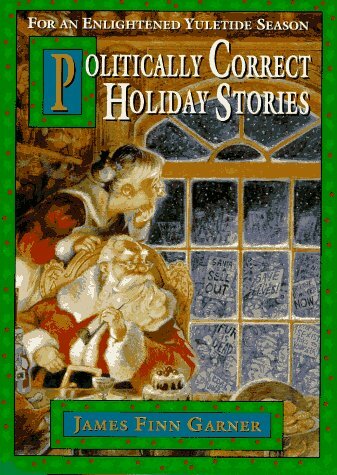 DESCRIPTION: Politically correct versions of ‘Twas the Night Before Christmas, Frosty the Snowman, The Nutcracker, Rudolph the Red-Nosed Reindeer and A Christmas Carol. This is probably one of my favourite Christmas books. uhh… holiday. It’s PC so there’s more than just Christmas. It’s been a couple years since I’ve read it though, and I understand more of it. I now know what miso soup and tatami matts. Of course, not knowing that doesn’t make much difference. The only thing I don’t like about it is the spelling. It’s politically correct as well so history/herstory, womyn, wommon and persun are used multiple times. I really want to correct it. But if you can ignore that, it’s worth reading, even just for a few laughs.